The King of Fighters XIV (Adaptation: Abstraction Games | Publisher/Developer: SNK Corporation) is an arcade-style fighting title with a plethora of pugilists, and a few game modes to boot. As you might expect, there’s a story with fair depth, along with a versus mode and online play. However, there’s also a record section which breaks out your wins per character, and there’s even a gallery to view unlockable artwork and movies [EN: Always a nice touch.]. The abundance of fighters ensures that you’ll find a lineup with which you feel comfortable and which caters to your fighting style. Not every character is for every player, as they vary in agility, attack speed, and range. Particular fighters come equipped with a weapon, others don’t. The DLC adds in a few characters, giving yet more selection; this extra content also adds alternate costumes for select battlers, along with digital goodies, such as a whopping one-hundred-thirteen page artbook. I’ve played fighting games before, from early Tekken, to recent Soul Calibur and Mortal Kombat releases. Given this familiarity, I dove right in, setting the difficulty on a middle-of-the-road medium, and felt right at home with the controls — except for guarding, for which I had to view the brief tutorial. Blocking an attack is the only unintuitive aspect I found: instead of not attacking or holding a button (a shoulder button, for instance, on a controller), you move in the opposite direction of your attacker. If he is on the right, you hold left; if it’s a low attack, hold down and left. It’s actually easier for me to evade an attack or execute a quick, well-timed counter than trying to block. Not to mention that just a slight drift in the opposite direction does not seem enough to successfully block an attack; there’s no true indication you’re in a blocking stance until after the incoming attack lands — or not. Actions are responsive to input, but executing an ill-timed attack might come at your detriment, as you’re unable to break a combo once it starts [EN: Zero-to-kill, anyone?]. Likewise, be cautious activating Max mode, particularly when close to your enemy, as you lay yourself wide open. Fighting an enemy in story mode seemed harder than versus or survival, even when on the same difficulty. I witnessed more combos from the computer in story mode than the other two modes, forcing me to be more vigilant. Which stage you’re on doesn’t seem to indicate the difficulty you’ll face — I’ve wrecked enemies on Stage 5 that were a cakewalk compared to some I faced on Stage 1. You must select a team of three players, whereas in versus you may select just one or a full three; in survival you’re limited to one. When a round ends in story mode, the next fighter in line steps up, and the winner of the previous round regains a portion of his or her health (this might prove handy for the achievement that requires ten perfect matches). If you lose a round, your opponent might not have his full health, providing you an easier time in attempting to perfect the round: this has helped me a clinch few perfect matches, though I’m unsure if these count toward the achievement. Once you clear all three opponents, you move onto the next stage, with your team revived and refreshed. If your team is wiped, you have the option to continue, restarting the stage on which you lost. Play around with varying combinations to find a team of three that can get the job done. The computer plays mostly fair, save for one battle where the bot performed four grab-and-throw moves in succession. What adds humor is when he acknowledges this in his winning tagline. There’s also an attack that ravages your health — from full to one-fourth. Might as well restart the match at that point. The background graphics and music are exquisite and add to the experience. Nothing in the background, or otherwise part of a stage, is interactive or breakable. You don’t find barrels to throw at your opponent, nor can you knock them off a few floors. 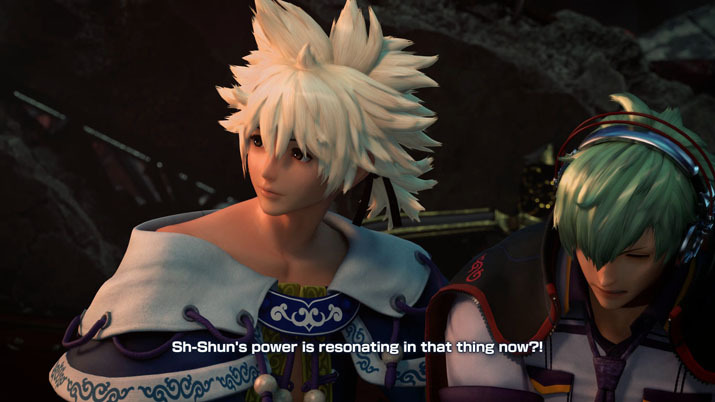 This lack of interaction, however, compels the player to focus more on the fighting, while the aesthetics and details brought by a stage go unnoticed. You may knock them up against the edge of the screen with certain attacks, but that’s it. This might come at the dismay of fans of other fighting-style releases, where this mischief was possible and advocated. The number of modes available and the amount of customization of a character appear almost skeletal compared to worthy competitors in this genre. There isn’t an option for players looking for casual fun, as the Motor Kombat provided in Mortal Kombat: Armageddon, nor the option to customize or create a fighter, nor the option to equip a fighter with items that grant increased stats or skills, such as in Injustice 2 or Soul Calibur IV, nor currency to acquire and use to unlock items and characters as in Mortal Kombat’s Krypt (which features a mini-adventure to explore with puzzle elements and action, at least in MKX). You’re stuck with the presets — with the characters and how they come, with their outfits and the limited number of colors, with their weapons, or fists (the DLC provides extra costumes that give particular battlers a refreshing new look). But, there are over fifty that you can use, and each differs in fighting style, strengths, and weaknesses. The smoothness of play and the multitude of fighters from which to choose provide a near excellent time. But, unless a friend’s available for a local versus match, or you’re willing to play online, the initial excitement diminishes after the fourth- or fifth-dozenth round — though this not atypical for the genre. However, the lack of additional, recreational modes limits the potential for casual play, just as the lack of customizability of fighters prohibits the potential for interaction. The multitude of fighters offsets the customizability issue, but just perhaps not completely. 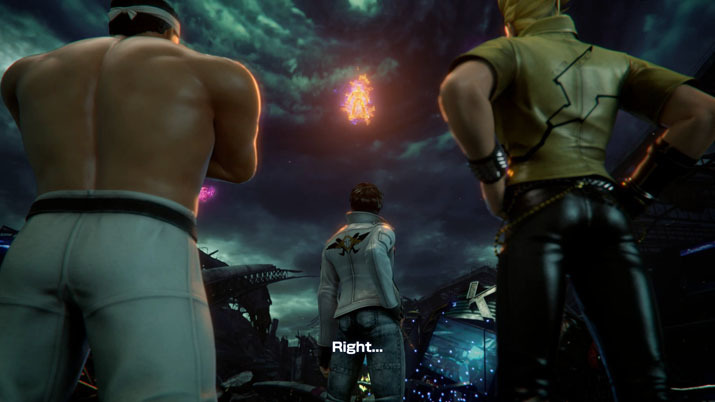 Regardless, the bottom line is that the fighter-gamers amongst us will walk away satisfied from The King of Fighters XIV.